VK for Iphone: how to install and configure the application? 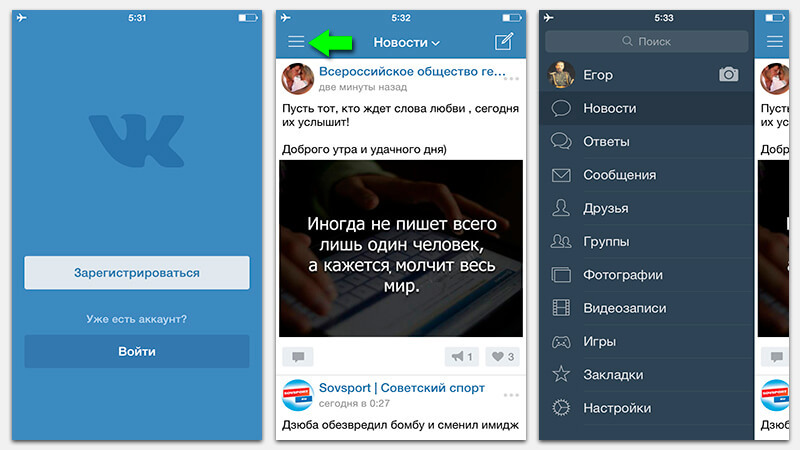 The social network VKontakte is one of the most popular in the territory of the countries of the former USSR. However, its mobile version was haunted by a series of troubles, the lion's share of which was associated with disagreements between the network and the American computer giant Apple. The manufacturer of iPhone has repeatedly made claims to the content of the resource and limited the presence of the application in its App Store. At the moment, all disagreements are settled, and users of a popular social network can freely set VKontakte on their Apple devices. 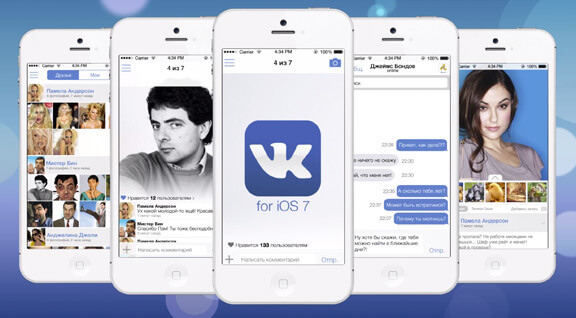 There are two ways to install the VKontakte app on an Apple-made smartphone. The first of these involves the use of iTunes software installed on a personal computer. For the second option, you just need an iPhone. To install the application through iTunes, you must first download and install it on your PC. After that, you need to synchronize the phone with a personal computer and follow the instructions of the manager. 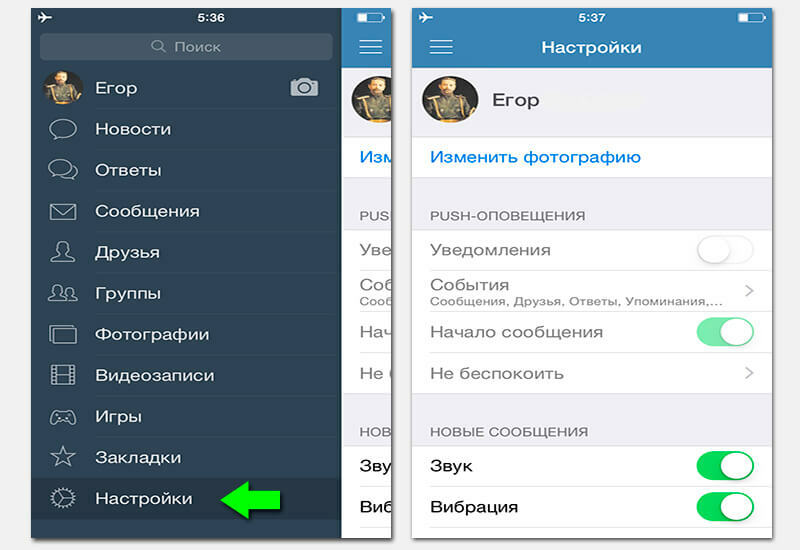 To install VKontakte directly from your iPhone, you just need to select the App Store icon on your smartphone screen. It is located in the main menu, and find it is not difficult. After entering the store, you can use the search or view a list of recommended applications. Then you should select VKontakte and install it through the App Store on iPhone. The program for the iPhone will take up a small amount of space in the internal memory of the device, despite the impressive list of features and capabilities. The size of the latest actual version of VKontakte for iOS is about 15 MB. The application is installed quickly, after starting it will be possible to choose one of the four main languages ​​of the program: Russian, Ukrainian, Portuguese or English. It will be by the way to emphasize that only persons who have reached the age of 17 can download and install the VK application through the App Store. Apple imposed such restrictions precisely because of the pre-existing claims to VKontakte regarding some content of the social network. If the user specifies the age less than 17 years, the system will block the ability to download and install VC. After downloading to iPhone, installing and running the VK application, first of all, you need to log in to the application using your own login and password. The iPhone user gets all the functionality of the main social networking site with the exception of music, which Apple imposed restrictions on in order to respect the copyright of performers. In the VC application, you can exchange messages with friends, read news, view photos, join and participate in groups, play games and much more. It should be immediately noted that the settings in the VC application apply only to the program itself on the smartphone, and not to the entire social network and its full version on the official website. Here you can set up alerts, sound, events, vibration, also upload your own photo. 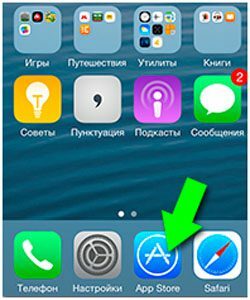 To receive notifications about new messages, it is recommended to enable the corresponding option in the application for iPhone.